Imagine if you could track all the parameters of your game. 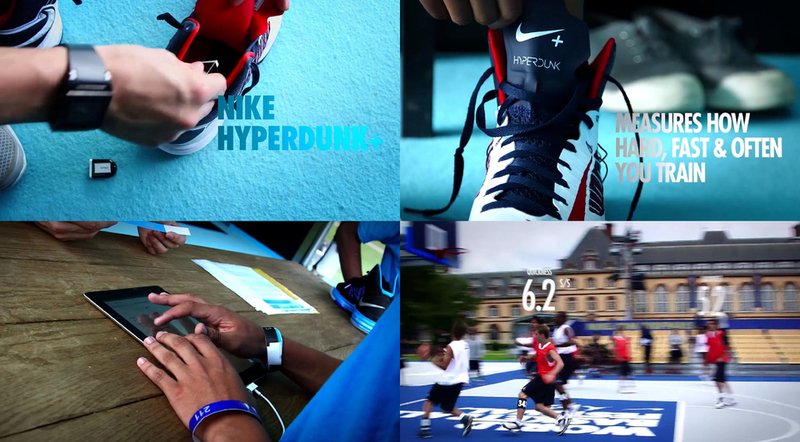 That's exactly what the Nike+ Basketball technology achieves. 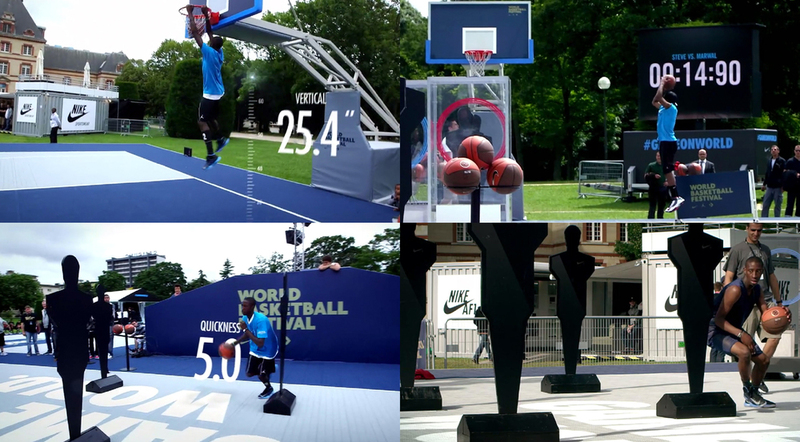 To introduce the device, we joined forces with NBA superstar Tony Parker and set up a basketball-themed obstacle course, which allowed us to put the product on the feet of athletes of all levels in realistic basketball conditions. To entice a young audience, we shot Tony Parker performing his Skills Challenge, The film was posted online through our core basketball channels to prompt the public to come and try the challenge themselves. Those who retweeted the film were sent personalised twitter invitations, to come down to the World Basketball Festival in Paris and engage in the challenge. Once they arrived, the participants subscribed and were loaned Nike Hyperdunk+ shoes. In front of an elaborate A/V system, the players had their performances recorded and, a few minutes after, their video was ready to be shared online on their social networks. Best scores get reward training with TP etc. More than 420 people performed in the Skills Challenge during the 3 selection days and the videos of their feats have attracted a combined 300,000 people on YouTube. At the end of the event, the Tony Parker Skills Challenge was the most successful of all the activities at the World Basketball Festival.